-Keep the art style the same. This is a new engine now, and after ANF theres a lot of uneasiness about how the game will look. Please just keep it as a "its been 3 years, the graphics are updated, but it looks exactly the same as you remember it"
Finally, please dont rush this. Dont have it so we waited years for Season 2 just for it to noticeably show that it had barely any work on it until very recently. Make sure the story is consistent with the Fables comics canon : one of the things I love about TWAU season 1 is that it's storyline is consistent with the Fables comics (with time before TWAU with Fables in the homelands, and ones in the main storyline that comes after TWAU), not contradicting anything in the comics. 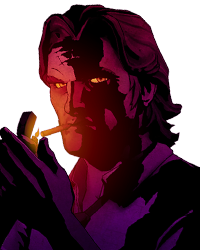 Make the characters compelling : We want more residents of Fabletown who are interesting/compelling to watch, not just the returning characters (Bigby and Snow), but also new characters. With new characters, they could explore new legends/myths such as e.g. Bloody Mary in Season 1. More Snigby scenes please (but not just blatantly for fanservice, but used in appropriate situations only, such as that Snigby moment in the beginning of Episode 4). That's all I can think of right now, will add more when I can think of others. This is pretty much a list of what should happen but it's not going to thus leading to a huge disappointment. I doubt they are going to preserve the artstyle and old character models, so welcome to Kenny/Jane/Edith scenario, TWAU edition. All I can say is make this game exactly how you made the first one, but for the love of God please have the story be continued and don't move onto something completely new! Also keeping in mind all the rest of the user's ideas in other posts. We gotta feel like our participation matters, staff!